According to the Centers for Disease Control and Prevention, 47.2% of American adults have periodontal disease—one of the biggest threats to patient’s teeth. 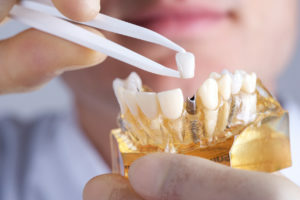 Periodontal disease (advanced gum disease) is the leading chronic disease for tooth loss, and in some cases patients can’t help but run into this problem thanks to their genetic makeup. In most cases, periodontal disease is developed from lack of diligent dental hygiene, but some patients have regulatory genes that correlate with advanced gum disease.